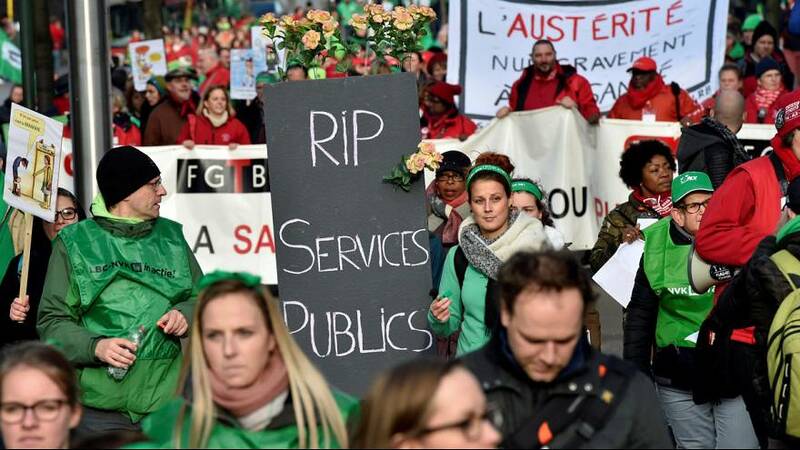 Thousands of people who work in Belgium’s health and welfare sector have taken to the streets to protest against government plans for austerity measures. They are demanding improved pay and conditions. An estimated 20,000 people from the health care, social services and not-for-profit sectors came out to demonstrate. Their anger is focused on plans to limit time off for veteran workers in the future. Unions say that if the tapering-off of hours is abandoned, pressure at work will only increase and keep youngsters from reinforcing the health sector. Burdened by high debt, the government is looking to cut costs, in sectors as far apart as culture and hospital services. Trade union representatives met with the government ahead of the march and agreed to start talks on the issues concerned. Parts of the Belgian capital were brought to a standstill by the huge protest. Some creche facilities have been closed and a minimum service only was operating in certain hospitals and retirement homes.